Discover a supportive environment, compassionate team members and innovative programs. Discover The Landings at Norcross difference.  Located in historic Norcross, Georgia, The Landings at Norcross is easily accessible from major highways and only 20 miles from downtown Atlanta. Norcross is a welcome departure from modern suburbia. With its 19th-century railroad town history, rich variety of historic homes and an authentic turn-of-the-century downtown dining and shopping district, Norcross recaptures the essence of simpler times and small-town living. An engaging community in a charming location. At The Landings at Norcross, you're given every opportunity to pursue what you love, get involved, be connected and grow. Each day you'll benefit from the thoughtful support and atmosphere that empowers you to meet your personal goals. 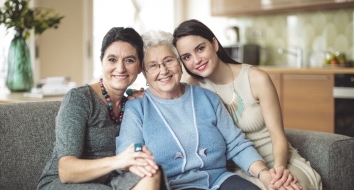 The Landings at Norcross embraces a unique, innovative approach to life for those living with Alzheimer's or dementia. 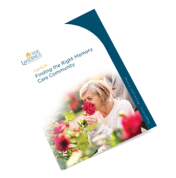 Our holistic Valeo™ approach is specifically tailored to help those with memory impairments thrive and create true moments of joy and purpose. 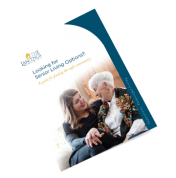 Gain peace of mind and help your family member or friend live a fulfilling life in supportive surroundings that feel like home. To find out more, complete the form above or call us today at 770-368-0292. Assisted living and an enriched lifestyle. Life with purpose and grace. Living at The Landings at Norcross offers a bright and inviting ambiance. It has been specially designed to provide comfort, connection and security for residents. Walking in, you feel all of the safety and relaxation that comes with home. In addition to thoughtfully designed indoor and outdoor spaces, a pet-friendly environment and abundant amenities and services, residents can participate in their choice of daily programs. Family members, caregivers and friends are always welcome to join in. It’s easier to make a decision about The Landings at Norcross when you have all the answers you need. See how beautifully we’ve put it all together to create this welcoming senior living community in Norcross, GA.
Request your senior living or memory care guide now. Our Valeo memory care approach focuses on maximizing each resident’s full potential through engaging programs such as music, art, social events and outings. Our wellness philosophy, Salus by Solvere, emphasizes every residents’ physical, social, intellectual and spiritual wellness to help them thrive and achieve their personal goals. Spacious residences with private baths, beautifully landscaped enclosed courtyards, a farm with friendly animals, inviting dining rooms and a beauty spa are just a few of the many amenities.